Shipping Weight: Cello Bag, 250 per carton @ 25 lbs. Customized Alligator Bag Memo Clip Item #HT-195 (Minimum Order: 250). 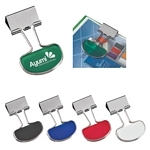 Promotional Bag Clips like the Alligator Bag Memo Clip can be personalized with your business logo and with No Setup Fees. Customized Metal Paper Clip Item #HT-197 is Promotional with your business logo for advertising to clients. Customized Metal Paper Clip and other Promotional Paper Clips are decorated with No Setup Fees. Customized House Shape Bag Memo Clip Item #HT-196 (Minimum Order: 250). Promotional Bag Clips like the House Shape Bag Memo Clip can be personalized with your business logo and with No Setup Fees. 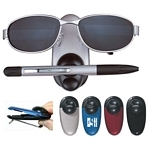 Customized Dual Sunglasses and Pen Holder Sun Visor Clip Item #HT-199 (Minimum Order: 250). 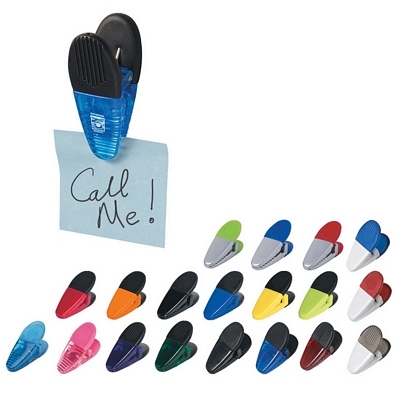 Promotional Customized Visor Clips can be personalized with your business logo. 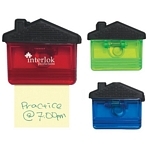 Our Promotional Visor Clips are decorated with No Setup Fees. 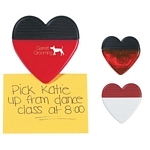 Customized Heart Shape Memo Clip with Magnet Item #HT-202 (Minimum Order: 250). Promotional Memo Clips like the Heart Shape Memo Clip with Magnet can be personalized with your business logo and with No Setup Fees.